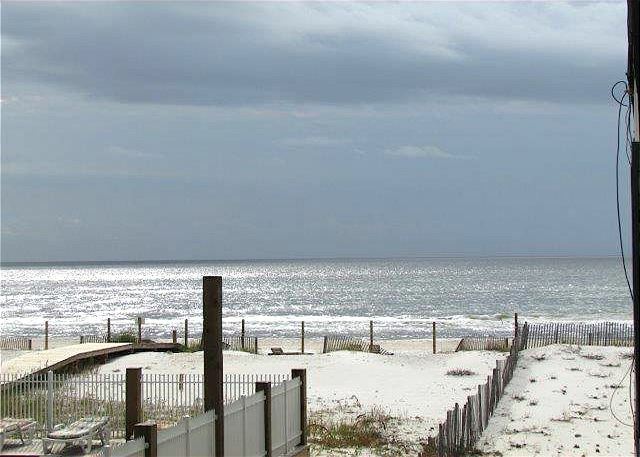 This three-story 24 unit beachfront property sits on the beautiful sandy white beaches of Gulf Shores, Alabama. Enjoy Gulf Views and breezes from the Large balcony, living area and Master Bedroom. This 1st floor 2 bedroom / 2 bath gulf front unit has comfortable furniture and tropical decor will immediately relax you and your guests. This unit comfortably sleeps 6 people. Sundial features an outdoor pool with a convenient outdoor shower, BBQ area, assigned covered parking , elevator, and a short walk to the beautiful Ocean front. 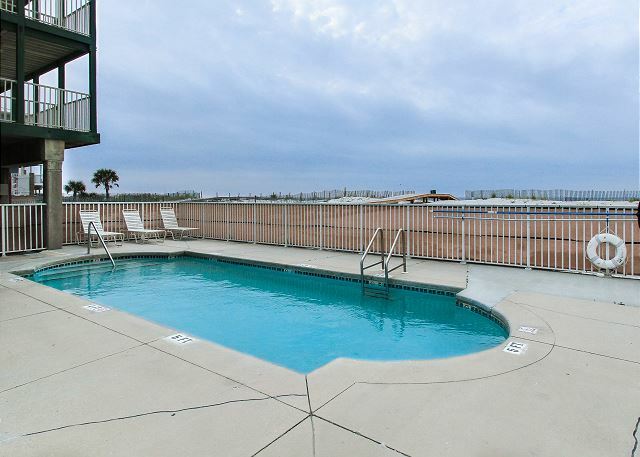 Convenient to everything that is going on in Gulf Shores, restaurants and shopping. Unit is on the East side.. Ready to enjoy! 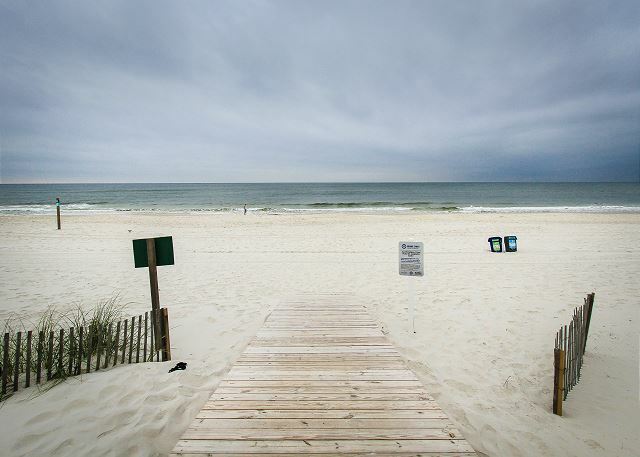 The road to Gulf Shores. 2019 was my 3rd year in a row at Sundial E1.Joy Sullivan and Morgan made it all happen so easy. The location is great. I love the fact that you can be out to the beach, or to your car in minutes. I don't want to waste time waiting for an elevator, as you would in a high rise. I go to the gulf for the warm weather, time to relax and enjoy the area. My stay each time allowed me to do that and thensome. I'm sure that Joy and Morgan will help anyone do that too. I can't wait for 2020. Leaving the winter of WI and enjoy the area bike trails. Thanks Again! I enjoyed my stay very much. LOCATION is GREAT.I came down to enjoy Warm weather and to spend most of my time biking. The GULF STATE PARK is AWESOME! You can spend HOURS there, if you like. Walk, run, bike and enjoy. Meeting lots of people, makes it all interesting. SEEING IS BELEIVING! CAN'T WAIT FOR OUR NEXT STAY! This is the second time we've stayed at this unit and will definitely stay again. It'a location is great, with a fresh seafood market, convenience store, restaurant and ice cream parlor right across the street. It has a good side view of the beach and the balcony is secluded for privacy. 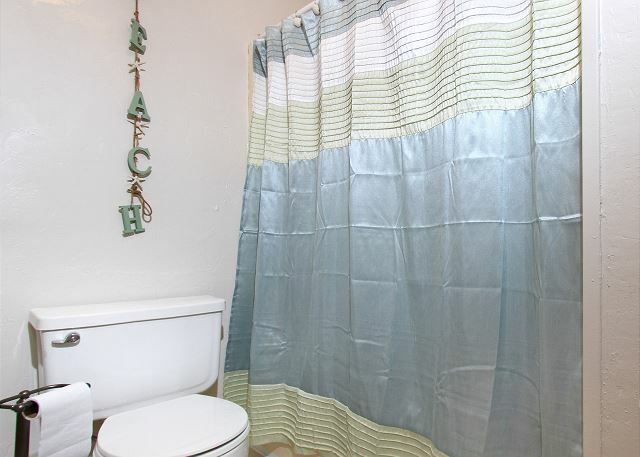 The master bedroom has a really comfortable bed and nice compartmented bathroom. Everything you need is included. The beach here is less crowded than at some of the other locations. Great location, right on the beach. Condo was clean and we didn't have have any problems. The Sundial is the perfect place for my family for a relaxing vacation. It's location - steps from the water, plus has great place to eat & shop across the street. E-1 has been updated with new decor and furniture. Looks Great! My family has vacationed here for 6 years and have always enjoyed it. a guest from Springville, AL does not recommend this vacation rental. The unit had just been sold and was under new ownership. They had redecorated and it was really cute. They hadn't gotten a chance to get fully restocked on some essentials but Joy and her associates were glad to get the dish towels, bath towels and washcloths that we needed. The only drawback was the internet service. Even after calling the provider the service was intermittent at best, but being only steps away from the beach made up for any inconvenience. We will stay there again. We truly enjoyed our stay at the Sundial. The beach was amazing, clean and close. The unit was clean and comfortable and supplied with everything we needed.